Wednesday is the best day of the week because that’s when the new books arrive in stores. Here are some of the comics scheduled to hit the shelves on October 26, 2011. Your local retailer will probably have these and others, so make sure to check with them for more details. 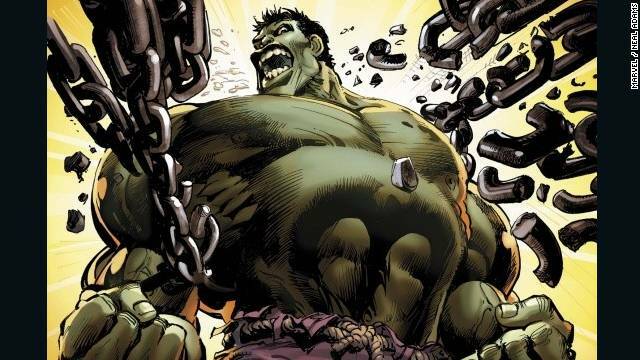 This week I am all giddy like a green little frog to be checking out the new The Incredible Hulk #1 from Marvel. Written by Marvel Architect Jason Aaron, the book seems like it will really show us how tough it is to be the big green guy in the post "Fear Itself" era of Marvel. I mean, come on, we recently saw the Hulk fight Dracula! What's not to love about this guy? "The Incredible Hulk" is the only Marvel title that I read with any consistency. I've stayed away recently, but with this No. 1 I'll be back on the Hulk train. Are you excited about the relaunch of this Hulk tittle? And is there a comic out there you are really loving? If so let us know in the comments. We are always looking for tips on good comics!